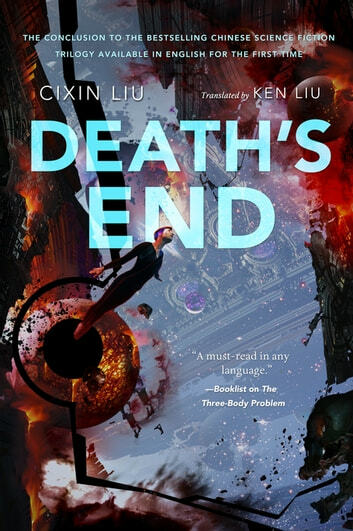 With The Three-Body Problem, English-speaking readers got their first chance to read China's most beloved science fiction author, Cixin Liu. The Three-Body Problem was released to great acclaim including coverage in The New York Times and The Wall Street Journal and reading list picks by Barack Obama and Mark Zuckerberg*. * It was also won the Hugo and Nebula Awards, making it the first translated novel to win a major SF award. Meant to become a classic. With every book, the author broadens the science involved in his writing. He clearly incorporated all manners of theories regarding physics, space-travel and extra-terrestrial intelligence. Even if you don't fully understand the science, it is there to further move the plot and there will be many unexpected plot twists. This books has the better main character of the trilogy which made following the story much easier. Overall, this books has scratched an itch that I didn't even know I had regarding science fiction books. I would recommend the trilogy to anyone who wants something different in their science fiction reading list. An epic ending that I didn't see coming. This book took a different turn then the previous, as did the second from the first. It left me anxious to know what was going to happen. The scope of this series is insanely vast and one of the best series I have ever read. Ce dernier livre est le meilleur. Les concepts scientifiques sont à couper le souffle. L'histoire est captivante et pleine de rebondissements. Epopée fantastique. A ne pas manquer! Imagination et adéquation avec les théories scientifiques actuelles. Une vison incroyable.